​This website includes jobs and internships, budgeting and money management, education and training and so much more! This website has useful resources and tools including a skills and knowledge list, career handbook, and valuable a child and family benefits budgeting calculator. 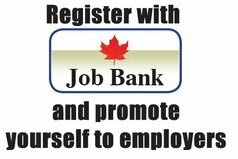 Find jobs in Canada by entering keywords or locations. Whatever industry or field you are interested in, the Job Bank search engine enables you to filter and search for the perfect job. Thousands of new jobs are advertised every day. Explore careers in Canada by occupations or locations or use the career tool to learn more about programs of study and how recent graduates are doing professionally. Are they employed in their field of study? What are their earnings? Would they study in this field again? The Workit Youth Apprenticeship Initiative is a province-wide effort to fill this gap by supporting programs that allow youth to explore careers in the skilled trades. This page contains some excellent resources that can assist youth in terms of career decision making, occupational information, and much more. 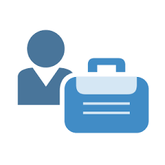 Here you can find information on job prospects, wages, education and training paths, and demographic profiles of people employed in the occupation – for more than 300 occupations in Nova Scotia.